The USC Architectural Teaching Slide Collection, A Mid Century Modern Time Capsule. Yesterday I was looking for some reference images of mid century modern architecture for an illustration I am working on when I stumbled across the USC Architectural Teaching Slide Collection. This website contains about 1400 images taken between the late 1930’s and late 1960’s. it features the work of American masters like Frank Lloyd Wright, Richard Neutra, Pierre Koenig, Fritz Block and many more. The site is broken into 4 sections, Pierre Koenig (302 items), Fritz Block: Modern architecture II (The new concept of space) (459 items), Fritz Block: Modern architecture I (248 items). There is also a link to a prototype website that was built back in the late 1990’s with additional information. If you open an image, there is a large selection of information about each slide. Location of the structure, the year taken, who the photographer is, the architect, publisher etc. The images are scans of slides taken in many cases by the architect, or Block. They are not color corrected, and these are not professional architectural photographs. They do however show what was going on in terms of modern architecture at the time, and in some cases show shots of the buildings being built. There are images of blueprints, and correspondence as well as site drawings, and planning layouts for entire subdivisions. All the images are available for download, print or sharing. Posted in Architecture and tagged Architecture, Archives, Fritz Block, MCM, Mid Century Modern, Pierre Koenig, Richard Neutra, USC, USC Architectural Teaching Slide Collection, USC Digital Library on April 6, 2016 by Author. 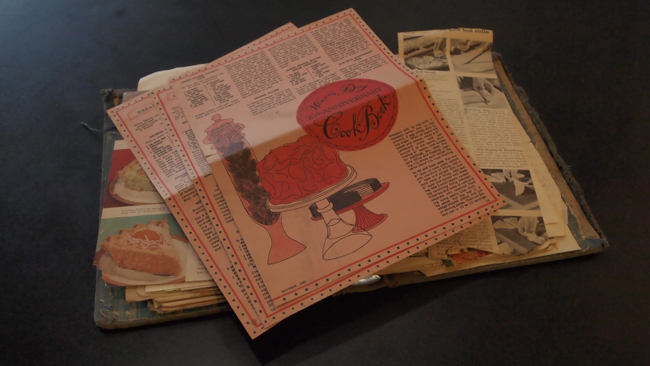 At some point between 1939, and 1941 my mother started collecting recipes from magazines, books, and relatives. This collection developed and grew over the years probably culminating around the mid 1970’s. This is Cookbook II from 1941. I wish Cookbook I was still around. 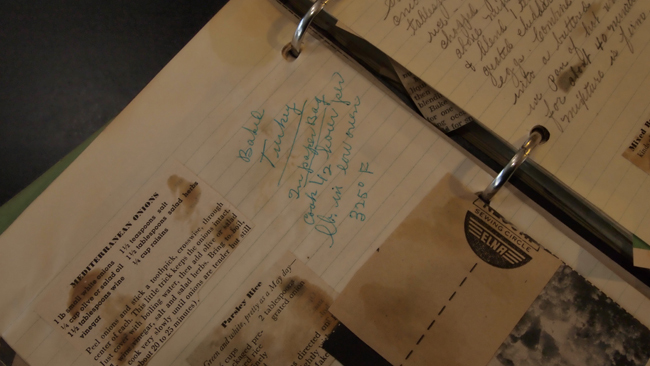 The book is a tattered three-ring binder that contains stained and faded pages upon which there are recipes written in her own hand, and those that were pasted in. 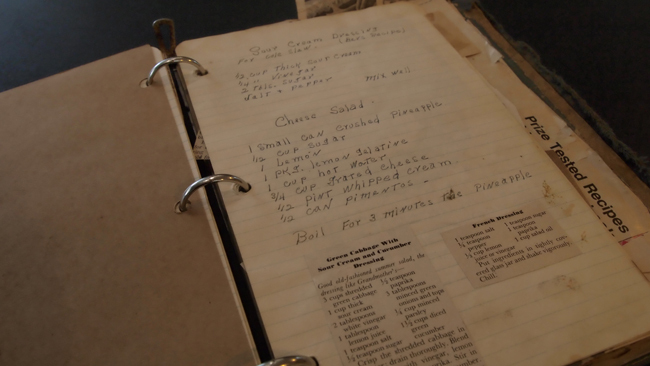 The cookbook is in many ways a time capsule, that extends across 4 decades. It shows how we used to cook, the taste in food of that period, and how much time everyone used to spend preparing meals. There is nothing fancy here. My mother is not Julia Child, although she is a damn good cook. The recipes she collected, were things that were simple and hardy. Things that were easy to prepare, and that would satisfy her family. 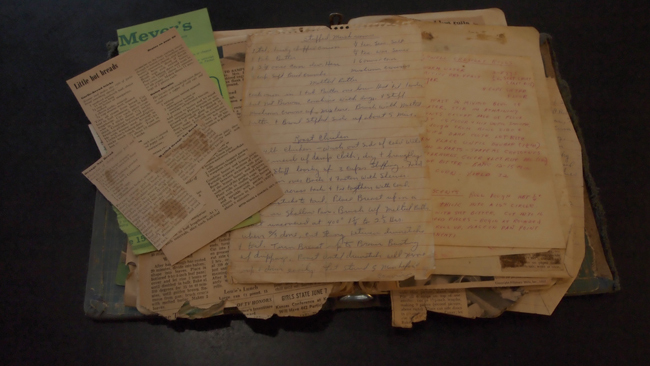 Some of the recipes in the cookbook, came directly from my Grandmother, and Great Grandmother. They have been transcribed onto the lined notebook pages, and while faded they are in both my mother and grandmother’s hand writing. My mom gave me this book about 4 years ago. I hate to say this but I never use it. Never. I know I should, but it isn’t the first thing I reach for when I want to try something new, and most of my moms recipes that I make on a regular basis have been committed to memory. But tonight when I was cleaning out cabinets and organizing the kitchen, I came across the cookbook and felt compelled to look through it. It is something that will always stay with me. I decided I don’t think I’ll ever use, but instead I’m going to keep it with the other books on the shelf. Occasionally take it down and go through it, like having a conversation with an old friend. Next week my mom turns 82, and I think I need to revisit the cookbook with her. There is so much here that is shrouded in mystery, like who in the family really liked and ate “Creamed Beets”, and where the hell did you get a recipe for that? 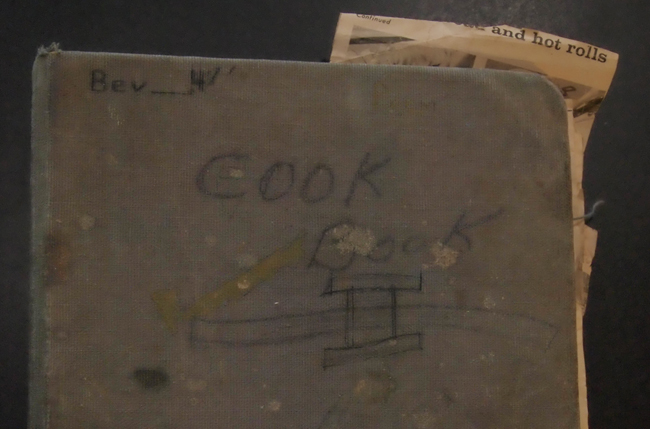 Like I said, it’s a time capsule and I want more insight about the history of it. I love the "How to Cook a Turkey" instructions written in the margin. 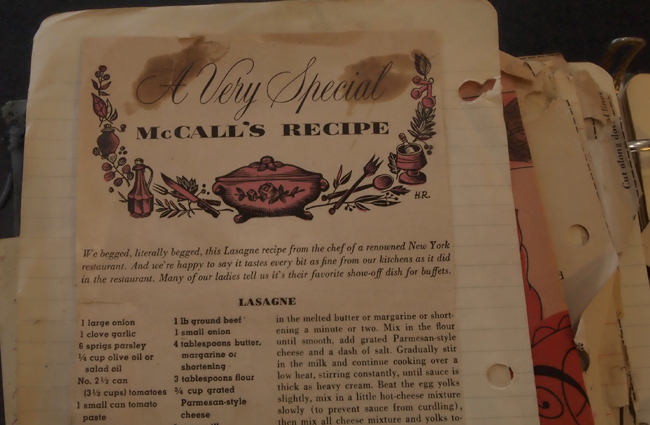 McCall's Special lasagna Recipe circa 1953. I should try to make some of these. Posted in General and tagged Archives, Beverly Johnston, Beverly Martens, Cookbook, Recipes, Time Capsule on January 9, 2011 by Author.